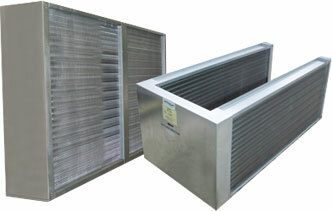 In air conditioning, heat pipes are used in the form of fin and tube type heat exchangers. This simple process is amazingly efficient at transfer of heat with minimal temperature gradients. Heat Pipes have no moving parts. Therefore, the high performance of heat pipe does not degrade over time. There is no wear and tear, which also means that heat pipes require no maintenance. Click here to read about the Heat Pipe Operating Principal.